Terri Mappin Photography : All in a Day's Work! 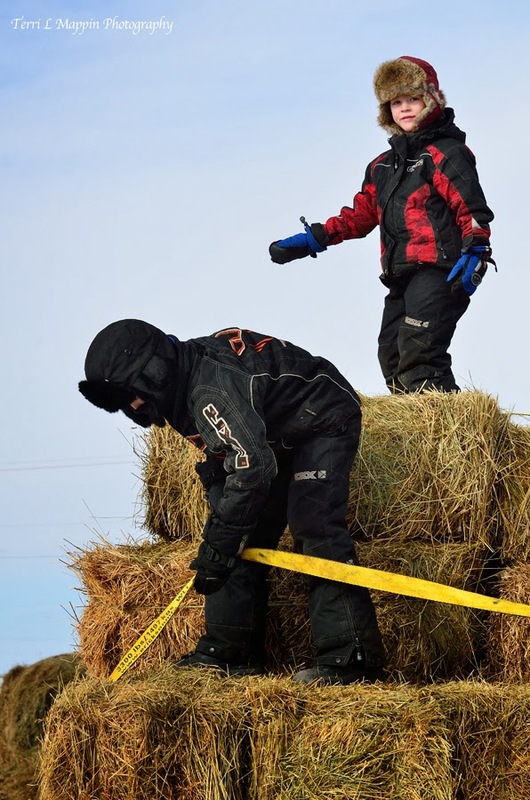 Despite the -35C with windchill, the boys were moving, stacking and getting ready to sell more of their small square hay bales. With the help of Mom, Dad and Grandpa Don, they loaded and moved 160 bales this afternoon. Not bad for a bitterly cold afternoon! There was hot chocolate on tap when we arrived back home! Il doit faire encore très froid chez toi , les enfants sont équipés avec des gants et des chapkas! CheersCath! The boys are such a great help! Young farmers in the making!